Hepatitis B virus (HBV) circulates as a collection of genetically related variants that evolve throughout the chronic infection. Those viral variants that have the greatest fitness are fixed. We recently showed different fitness for HBV variants involved in two epidemiological situations. To understand these fitness differences better, we determined the levels of extracellular HBV DNA, the synthesis of HBV DNA intermediates, and the expression of HBeAg and HBsAg in transfection and cotransfection assays. Our results show that for the subgenotype (sgt) D1, which has an 8-nucleotide deletion (sgtD1del) and exhibits lower fitness, the levels of extracellular DNA and intracellular replicative intermediates were much lower than with sgtD1wt or sgtD1mut (G1896A), which had higher fitness. In addition, in the cotransfection assay, sgtD1del inhibited sgtD1mut but not sgtD1wt replication. We also found that sgtF1b, which exhibits higher fitness, produces significantly higher levels of both extracellular DNA and intracellular replicative intermediates than does the lower-fitness sgtF4. These results demonstrate a relationship between fitness and the replicative ability of the HBV genome in the transfection assay. 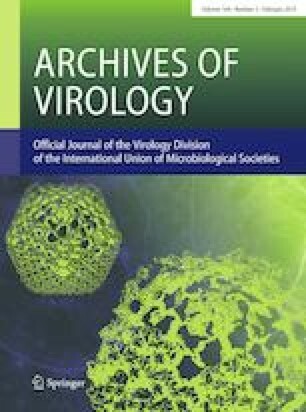 In addition, the data obtained by cotransfecting cells with sgtD1del and sgtD1mut provide new information about the impact of simultaneous replication of two viral variants in the same cell system on HBV replication. The online version of this article ( https://doi.org/10.1007/s00705-018-4090-5) contains supplementary material, which is available to authorized users. This work was supported by Consejo Nacional de Investigaciones Científicas y Técnicas (CONICET) [PIP2015-0595CO], Agencia Nacional de Promoción Científica y Tecnológica (ANPCyT) [PICT2014-1672] and UBACyT [20020130100505BA 2014-2017].